Dr. Tae K. Jung grew up in south Korea where he first studied Air Craft Engineering, he also studied chemistry in Hawaii receiving a B.S in chemistry. In 2005 he graduated from Case western University with a degree as a Doctor of Dental Medicine. When he graduated he received a Dean Scholarship Award which was given to students showing outstanding clinical achievement. 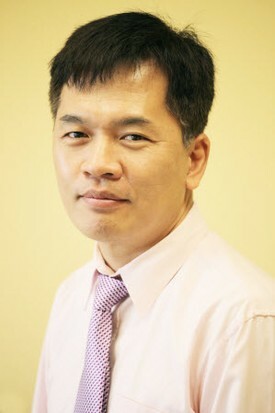 Dr. Jung has been practicing in the rouge valley since 2005. In his spare time he likes to spend quality time with his wife and two daughters. He also partakes in seminars and classes to continue his education and stay up to date on the latest dentistry advancements. Susie has recently joined our team as the Front desk receptionist/Office Manager. She is originally from Southern California and has lived in the Rogue Valley since 1986. 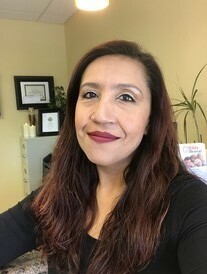 Greeting patients with a smile and excellent customer service is top priority for her, and she hopes to gain more knowledge in the dental field as well. She loves nature especially animals, and enjoys spending time with her family, friends and many pets. My name is Ailin. I've been a dental assistant for 4 years. Working in a large clinic and now in a small office setting. I grew up in Southern Oregon but recently moved to Medford after getting married. I like to spend time with family and friends. I love to travel and to try new things. Originally born and raised in Southern California. Sandrine has earned her Bachelor of Science Degree in Dental Hygiene with an emphasis in education and public health from Oregon Institute of Technology. 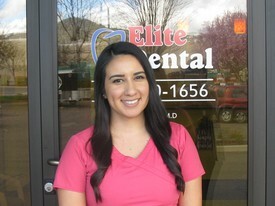 She has been part of the dental community since 2003 in the Rogue Valley area. She now provides services as an Expanded Practice Dental Hygienist. She has a history of volunteering for medical missions as well as the Southern Oregon Rehabilitation Center & Clinics (SORCC), to fully utilize her professional career. She loves spending time with her husband and three beautiful girls, going camping, biking, swimming, hiking, bowling, and traveling. 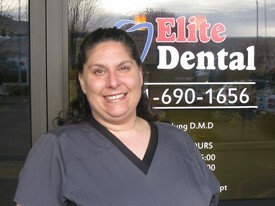 Sandrine is excited to be part of the Elite Dental team!